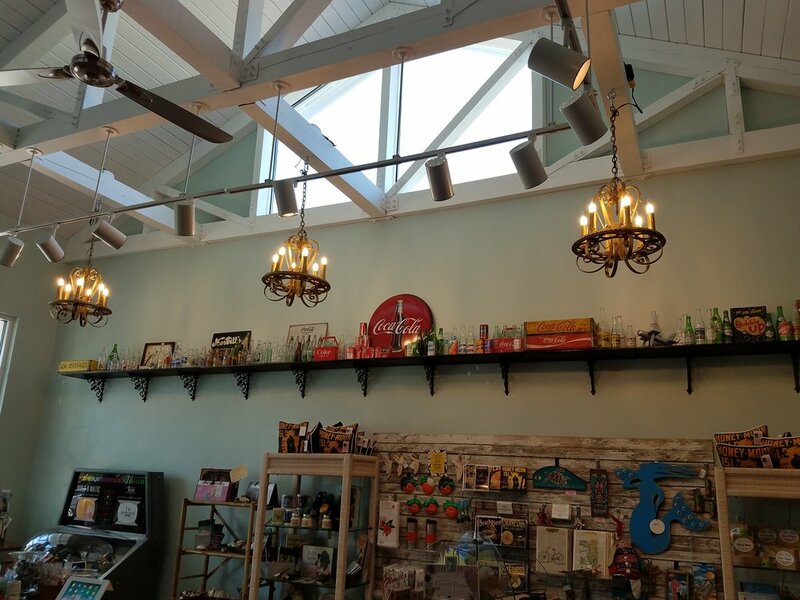 Birds & Bees: Towards the front of the store, you will see a framed picture of a bird, here you will see a large amount of bottles with either Birds or Bees. You can see all of these listed in my Birds and the Bees section. Planes, Trains and Automobiles: In the inside corner of the display, you will see a silver airplane. 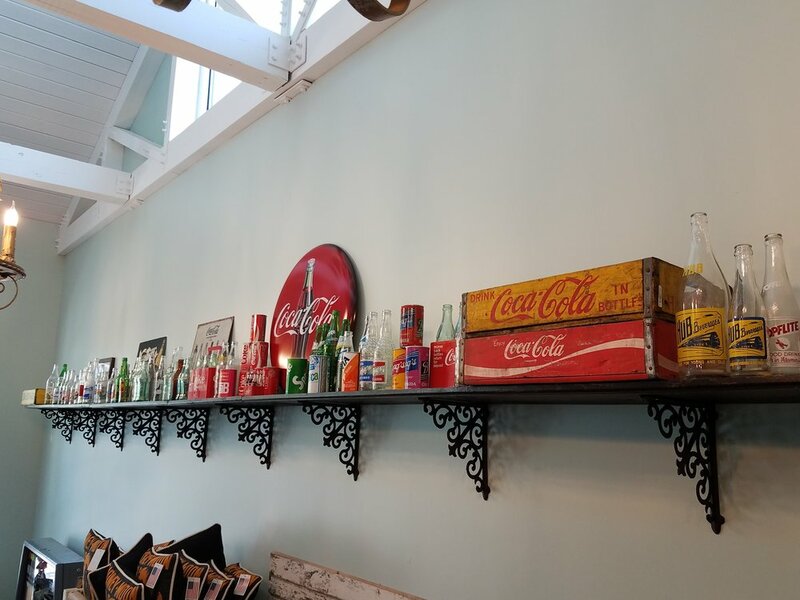 In this section you see bottles such as Hub (Yellow bottles with train), Top Flite, Jet, Saturn, Rocket, Lift and Sky High a earlier 1930s bottle. 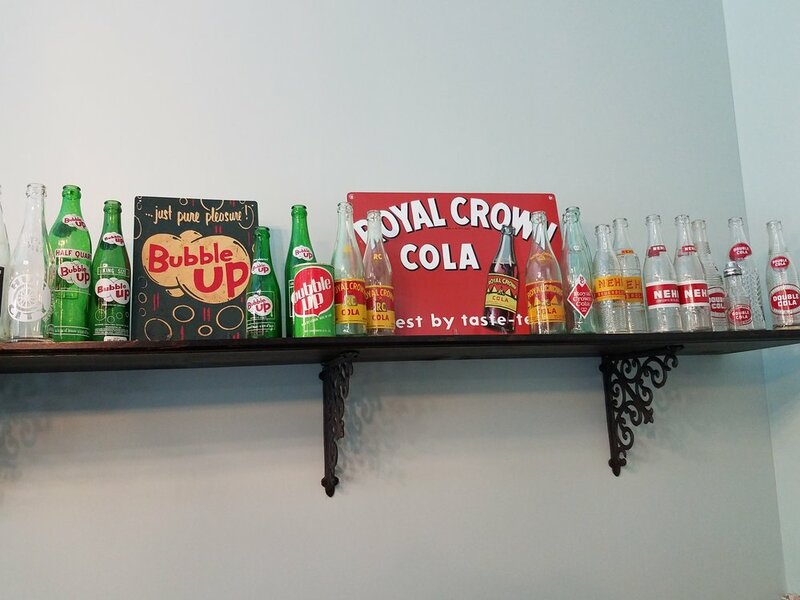 Royal Crown and Nehi: Another great brand of the south, you will see numerous bottles from the 50s and 60s including the famous RC pyramid bottle which is depicted on the sign. In addition an assortment of Bubble Up items.